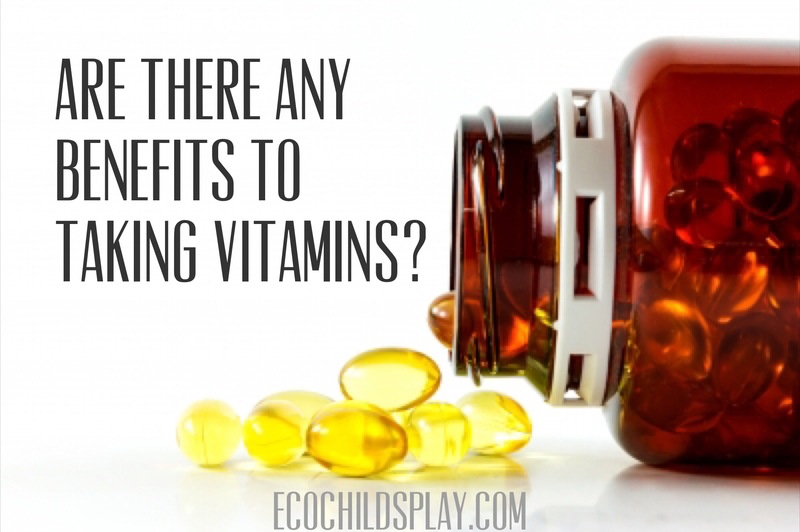 Why do we take vitamin and mineral supplements? Are there any benefits? When I was a child, my parents gave me chewable Flintstones vitamins. These early experiences set in stone the idea that supplementing my diet with pills was necessary for health (even though those chewables were full of dyes and artificial flavors). I don’t make my children take daily vitamins. I don’t take them every day myself. Why? I want to trust in our diet. I want to trust in our natural cravings to decide what we are needing more of in our nutrition. Craving oranges, avocados, carrots, etc. are all signs of deficiencies. Craving chocolate, potato chips, and ice cream…hmm, not so sure. The truth is our diets, even if carefully made from whole foods, may not be balanced. The truth is we often have children that are picky eaters and may not eat what their bodies need. The truth is our dietary needs change as we age. The truth is we have learned not to trust our bodies when it comes to eating…eating on a schedule of meals, eating what is convenient, eating for other reasons like boredom and emotional support rather than for survival. Do we need supplements and vitamins? I am not a medical doctor. I can’t give you advice, but my approach to supplements is the same approach I try to use for eating…listen to my body. When I remember to take supplements, then I must be needing them. According to Web Md, there is actually no “convincing scientific evidence of any true health benefit” to taking supplements. In fact, most Americans take supplements for the same reason I do…we believe it will improve our health not because of a doctor’s recommendation. Only 23 percent of supplement takers are doing so under the advice of health care professionals. Nearly half of U.S. adults use dietary supplements, Bailey noted, and supplements are a $30-billion-a-year business. Another expert said supplements can be expensive. “A multivitamin might cost $20 a month. Why not spend that on more fresh produce?” said Marian Neuhouser, of the cancer prevention program at the Fred Hutchinson Cancer Research Center, in Seattle. “If someone is eating a healthy diet with plenty of fruits and vegetables and whole grains — a wide variety of foods — they should be getting all the nutrition they need.”.. The truth is, most of us, even those who try, probably aren’t getting all the nutrition from our food we need because we occasionally cave into cravings for potato chips, chocolate, and ice cream. Supplementation, when done safely, can’t hurt, but not all supplements are created equally. Malabsorption is common, and many supplements contain harmful artificial additives like colors. 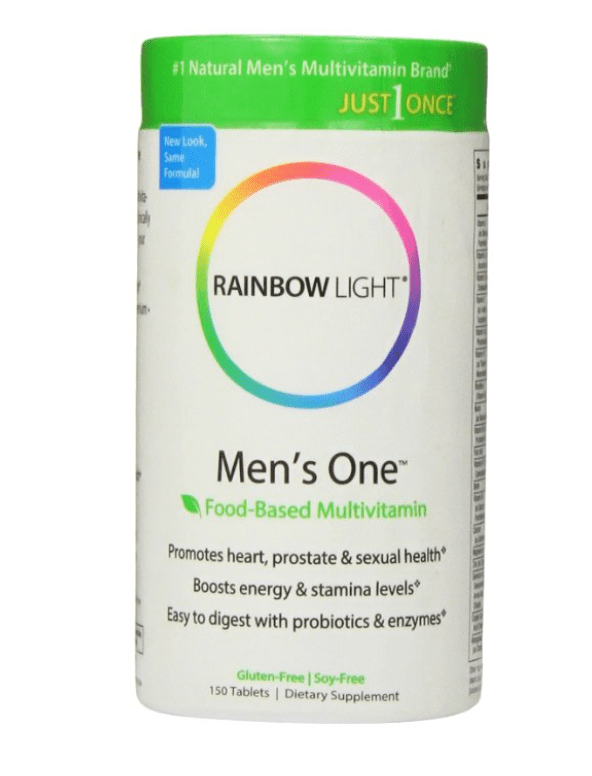 I prefer Rainbow Light multivitamins. I discovered Rainbow Light when I was pregnant with my first child. I took their prenatal vitamins through two pregnancies and four and half years of breastfeeding. We were sent samples of their line for the whole family. I never gave my infants vitamins. I felt breast milk did the job. I would be concerned with this product that the powder is fully mixed into something so that it is not inhaled by those tender young lungs. 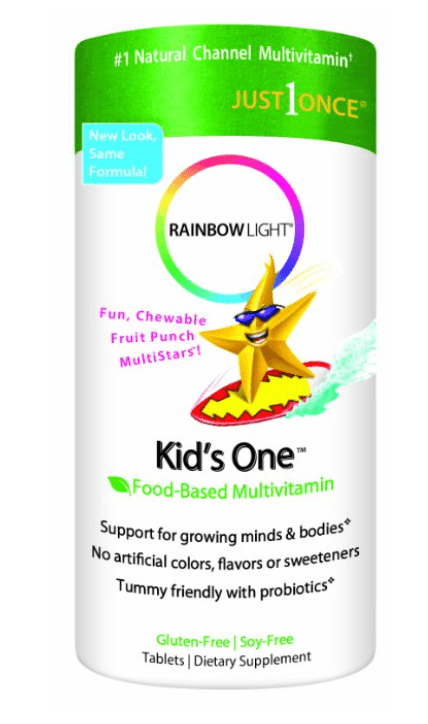 Give your children the nutrition they need with Rainbow Light NutriStart Multivitamin Powder. 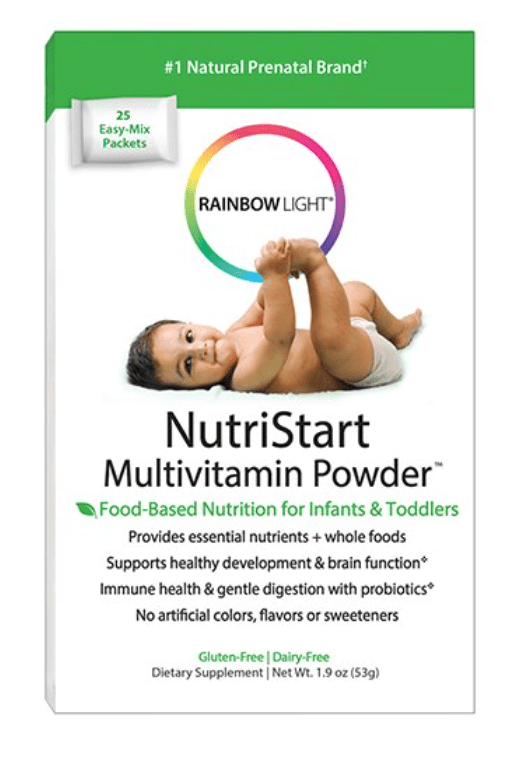 Specially formulated for children ages six months to four years, NutriStart Multivitamin Powder helps supplement your child’s diet and support healthy growth and development. * Vitamins, minerals, and antioxidants work together with wholesome foods and vegetables to provide advanced nutrition and immune system support. * The powder can be mixed with liquids or soft foods, like yogurt and applesauce, so picky eaters might not even realize they are eating it. Easy to digest, NutriStart Multivitamin Powder has no artificial additives, is gluten-free and is guaranteed to be free of common allergens like dairy, yeast, nuts, eggs, fish, and shellfish. Nourishing vegetable juice complex and essential nutrients for healthy growth*. Complete, bioavailable formula of essential vitamins and minerals*. These are the chosen multivitamins for my children. I have purchased them for over ten years, and my children take them willingly, even the picky eater. I really like the idea of a teen multivitamin. If any age group doesn’t eat right, it would be teens! Inconsistent eating, highly active, hormonal fluxes, and less parental influence, teens could probably use a multivitamin. Comprehensive, one-a-day nutritional support for heart, reproductive, and prostate health. Contains potent vitamins and minerals, including vitamins A, B-complex, C, D3, zinc, and selenium. Men’s strengthening blend of saw palmetto, lycopene, and organic spirulina Vegetable juice complex with kale, spinach, dandelion, and beet for natural energy. Gentle on the stomach with plant-source enzymes and 25 million CFU probiotics No gluten, dairy, wheat, and yeast. Comprehensive, one-a-day nutritional support for bone and breast health includes B-complex, vitamin D3, and iron. Women’s nourishing blend of dong quai, organic spirulina, and red clover for stress and hormone balance. Vegetable juice complex with kale, spinach, dandelion, and beet for natural energy. Easy to digest with plant-source enzymes and 25 million CFU probiotics. Free of gluten, dairy, wheat, sugar, soy, nuts, eggs, fish and shellfish, and yeast. I’ve been taking this multivitamin for about a year. It is easy on my sensitive stomach! Rainbow Light is a company I have trusted for over 20 years. They make high quality, easily absorbed and digestible products for the whole family. 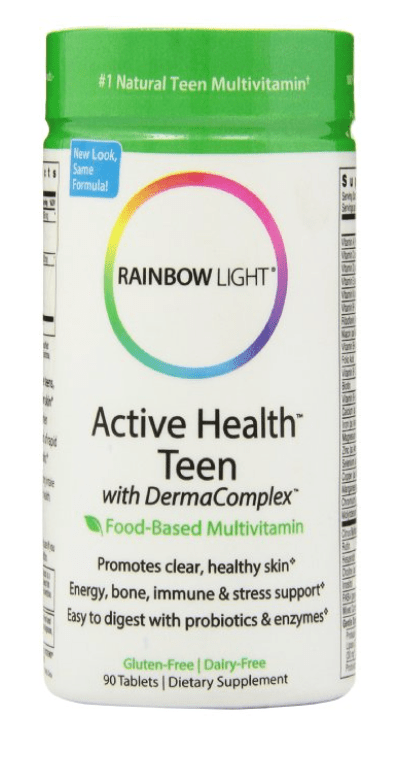 Whether you are taking vitamins as recommended by a doctor or because they simply give you nutritional peace of mind, Rainbow Light is a company you can trust. Rainbow Light was founded in 1981 in Santa Cruz, California. Its mission is to be the performance leader in building a stronger state of health for its customers, the global community, and the planet. 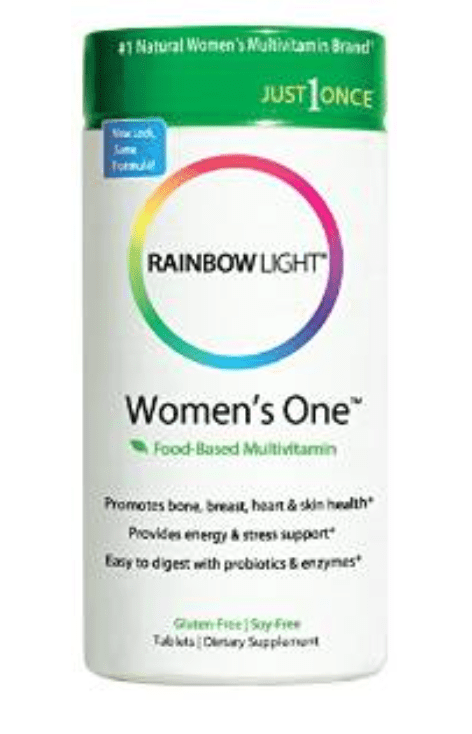 Rainbow Light’s innovative formulas all begin with a base of nutritious, whole foods and are made to deliver research-based ingredients in optimal potencies and combinations for best absorption, utility, and effectiveness. 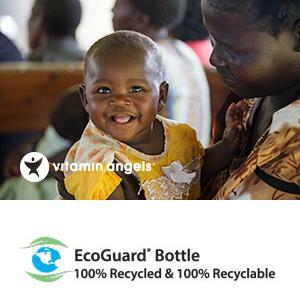 From the beginning, Rainbow Light has partnered with Vitamin Angels to fight global malnutrition, providing over 24 million life-saving prenatal and children’s multivitamins to women and children in need under-served communities worldwide since 1994. Do you prepare 90% of your own food from whole ingredients? Do you exercise at least one hour a day? Have you talked about vitamins with your doctor? It’s important to talk to your health care provider about any changes you make with supplements or diet. I think the best advice to pay attention to your body and mind. How do supplements help or not help you? Do you notice a difference? May you be healthy, happy, and well! I absolutely agree with most of the things said in this article. If we eat more fruits and vegetables we won’t need any additional vitamins. We should eat more natural products and run away from GMOs.